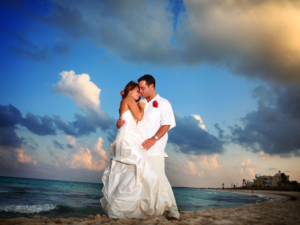 The most special day in a couple love story, without any doubt, is the day of their wedding and at Condo Hotels Playa del Carmen we want to help you make that day even more spectacular than you have dreamed. Share with us to the smallest details and discover which of our packages is the one that best suits your wishes. It can be our basic wedding package (accommodation only) or you can plan most of the festivities of your wedding (ceremony and reception) in one of our properties. However, we give you many different options, that´s why we recommend you to do a site inspection and get to know directly which option is better for you, and which of our properties fits better for your wedding day. Book 3 nights (or more) and get 50% discount on select Condos. 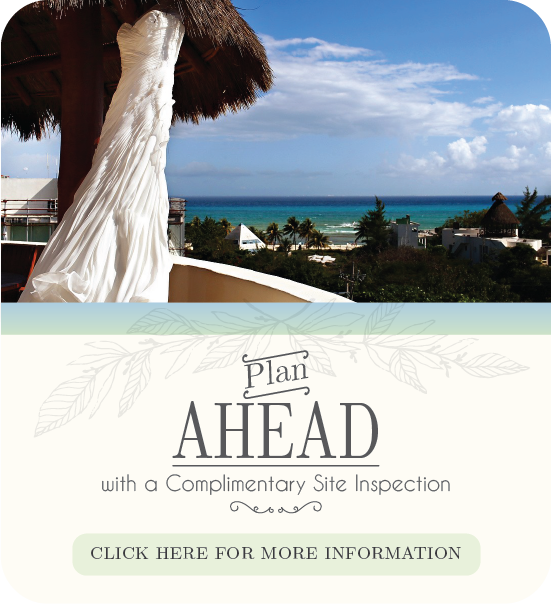 If your group books a minimum of 12 reservations directly* with Condo Hotels Playa del Carmen you will be credited the site inspection reservation towards the payment of your wedding day stay or any of your guests. Note: All credit must be applied to reservations or amenities. No refunds of unused credit. The package includes a tour of the property and a In-House Wedding Consultation. We are confident that once you meet our property and amenities -restaurants, beach club, spa, salon and fitness center, you will desire to make your wedding with us! Let’s start with the basics, share your ideas, details and doubts, we will answer and put you in touch with our In-House Wedding coordinator who will guide and help you with every possible detail to plan your wedding. To start this adventure together you just have to enter here. Ask about our Special Group Rates and the Complementary 1 Bedroom Suite for the Bride and Groom.